Ubaguruma - it's Japanese for baby carriage! 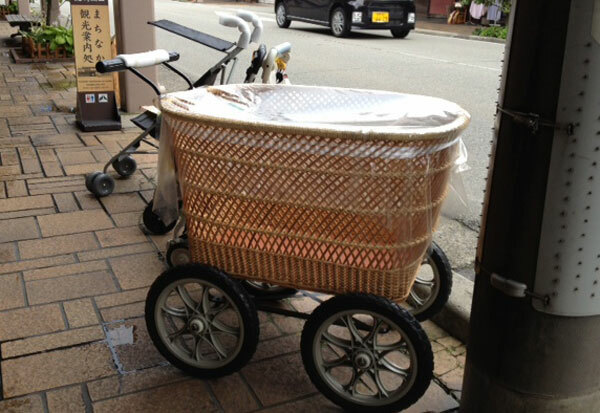 Ubaguruma – it’s Japanese for baby carriage! Or at least I think it is. Language translation is by no means my strong point, but I’m not going to let that stand in my way of showing you these gorgeous prams. Nope, I’m not talking Stokke, Bugaboo or even Silvercross – what I’m talking about is a new take on the traditional Japanese baby carriage, ubaguruma. It is said that everything old becomes new again and that appears to be just the case with these baby carriages. Mod cons have been accounted for such as proper air filled tyres for a smoother, quieter ride, fabric canopies and plush mattresses and the wicker basket height now varies, though older models are traditionally closer to the ground. The one thing that has stayed the same is the gorgeous wicker basket – beautifully breezy air holes let sunlight and fresh air stream in (fabulous when warm, not so much when bitterly cold). 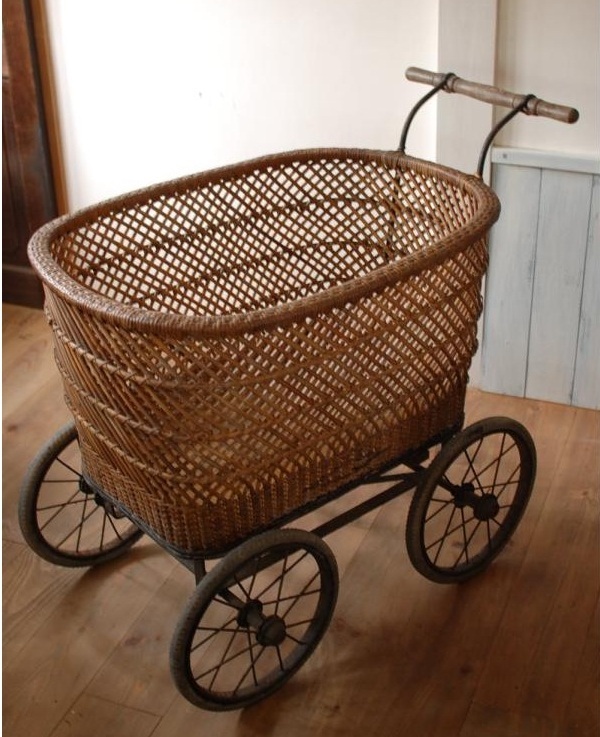 According to Daddy Types there are plenty of older babies and toddlers being pushed around standing up in the baskets, which seem to be based on older carriages (such as the model pictured below) passed down through the family generations. 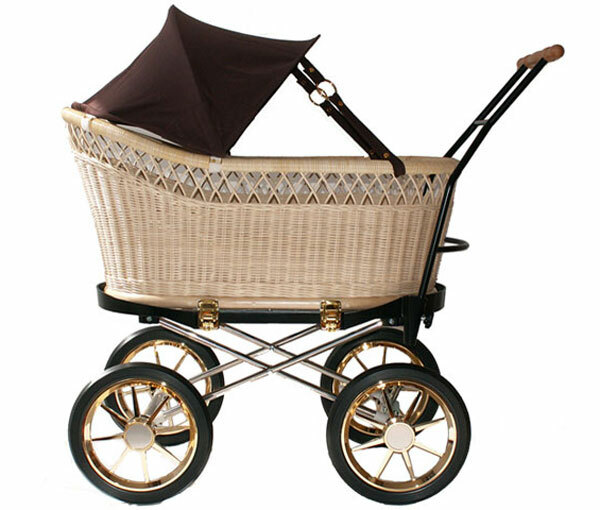 A new Japanese baby carriage model such as the Pousse Pousse model (pictured top), with all its bells and whistles including gold hardware will set you back about $1450 for the body and canopy kit, from Tokyo Ubagurama. What do you think, can you imagine keeping your cherubs contained in an ubaguruma?